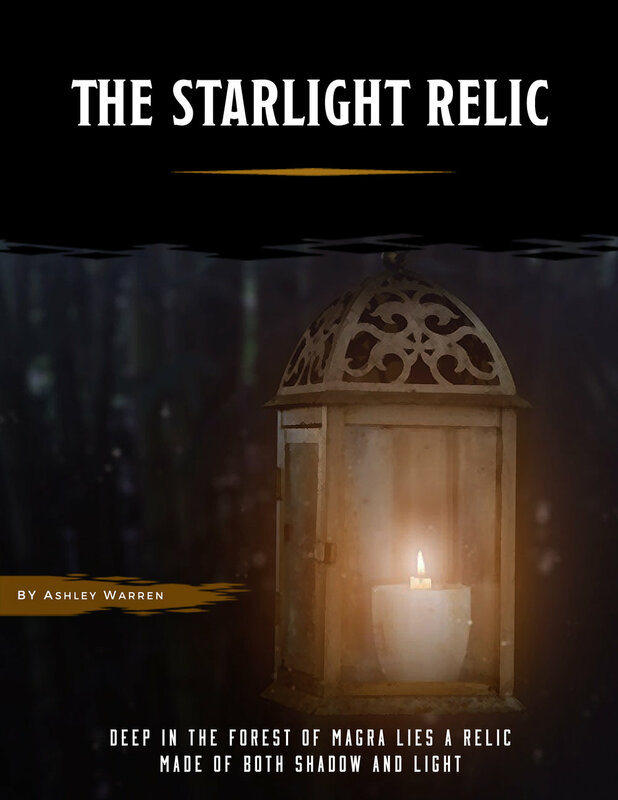 There is a legend of an ancient relic, an item called the Starlight, said to contain both infinite light and eternal darkness — an item so powerful it could help bring an end to the ongoing war between angels and demons. A dense forest surrounds the city of Magra, a place known for its spired buildings and talented artisans. The Magran Forest not only provides artisans with the materials for their trade, but protects and hides the ruins of a long-destroyed temple, said to have once served an old, ancient deity that precedes the existing pantheon. When luthier Vela Kapra learns of the temple's location by accident, she knows this is where the ancient relic known as the Starlight can be found. But this information is dangerous, for there are many who would die to find the Starlight — and just as many who would kill for it. An adventure in Emberez, the setting of the A Requiem of Wings campaign.